Mainco Wire Ropes ltd is a independently owned Wire Rope Splicing and Rigging Company, based in Redditch, Worcestershire. 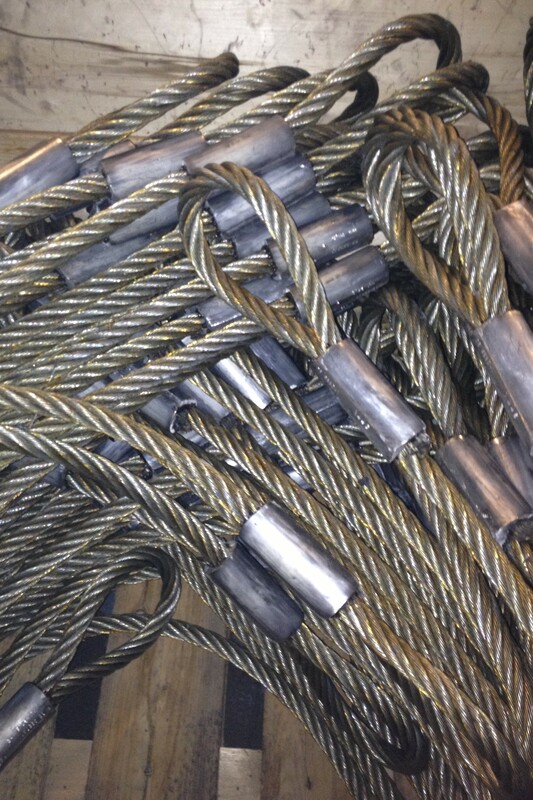 One of the main specialities is the Manufacture of wire rope assemblies to customers specification. The Company was formed in September 2001 by husband and wife Mark & Monica Johnson after working within the wire rope industry, obtaining a combined total of 58 years experience. Offering the highest quality and accuracy of our finished products. Mainco has now become a steadily growing company within the wire rope and rigging industry. With constant improvement and investment to expand into the future, Mainco has purchased a second 330t press and also recently a 600t press enabling us to offer wire rope slings and assemblies up to 42mm diameter. We also hand splice wire rope up to 26mm dia. We have purchased a hydraulic cable winding machine this can handle up to 42mm dia wire ropes on reels up to 3t in weight from our large turntable this machine measures and cuts with fume and spark extraction. lifts and lowers reels effortlessly. We have added to our machinery a new annealing Fuse & Tapering Machine, enabling us to fuse and taper the ends of wire rope up to 30mm diameter. Our small wire diameter splicing department has five 25t presses, two 30t and a 60t press enabling us to maintain our agreed delivery dates. Diploma. Mark has received the lifting equipment engineers association (LEEA) diplomas for the specialised subject lifting gear general. Mainco also operate a small machine shop Offering a bespoke service of assemblies and specialised turned parts to individual requirements. one off’s small and large batch assemblies. the machine shop equipment, one larger lathe and two lathes, small miller, pedestal & bench drilling machines, surface grinder, band saw cutting and welding equipment. We are completely dedicated to your total satisfaction, and aim to meet the demands of modern industry. The company is building it’s reputation by offering customers a fast and efficient service using high quality materials at competitive prices.